SportsPulse: USA TODAY Sports’ Jeff Zillgitt discusses the startling trends that could lead to a shocking early exit for LeBron James and the Cleveland Cavaliers. MILWAUKEE — The Milwaukee Bucks promised things would be better. They hadn’t necessarily set the bar high for themselves with a pair of losses to start their playoff series with the Boston Celtics, games in which they went through periods of looking disjointed, lackadaisical and weren’t getting nearly enough contributions from the depth of talent on their roster. 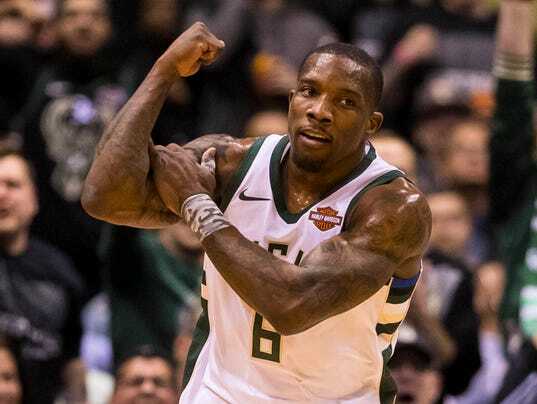 They made good on that promise and then some Friday night at the BMO Harris Bradley Center, putting together one of their best performances of the season in a 116-92 victory in front of a raucous, sellout crowd. Milwaukee’s victory got the Bucks on the board, getting the series to 2-1 with Game 4 looming at noon Sunday.